I have finally found it- a helpful poetry resource book. This book is published by Prim-Ed. 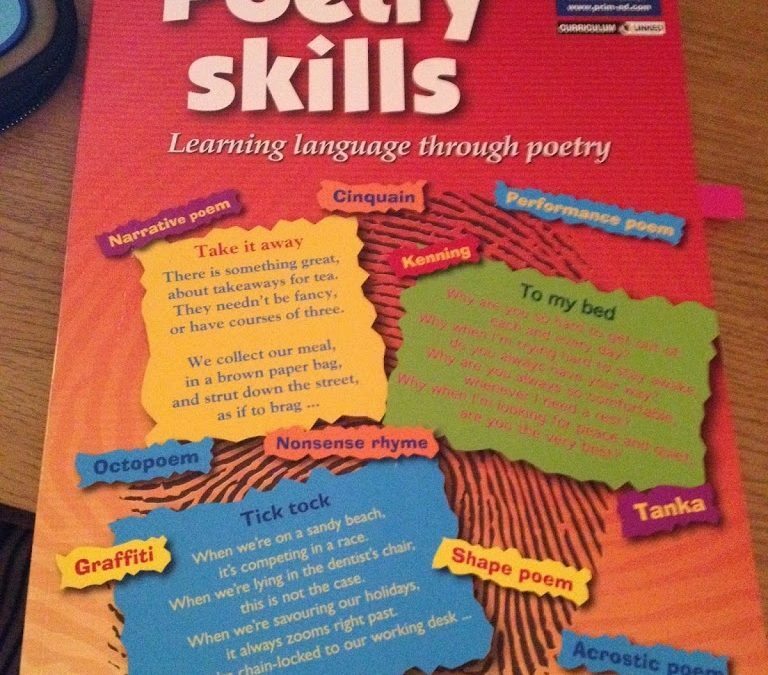 It is called ‘Poetry Skills- Learning Language through Poetry’. It is a real find, and I am delighted I took the plunge and finally ordered it! Once I started the dip, I found I had very few resources for teaching poetry. Besides reading and discussing the poem, I didn’t have a lot of ideas for this area! This book has a clear and concise layout. 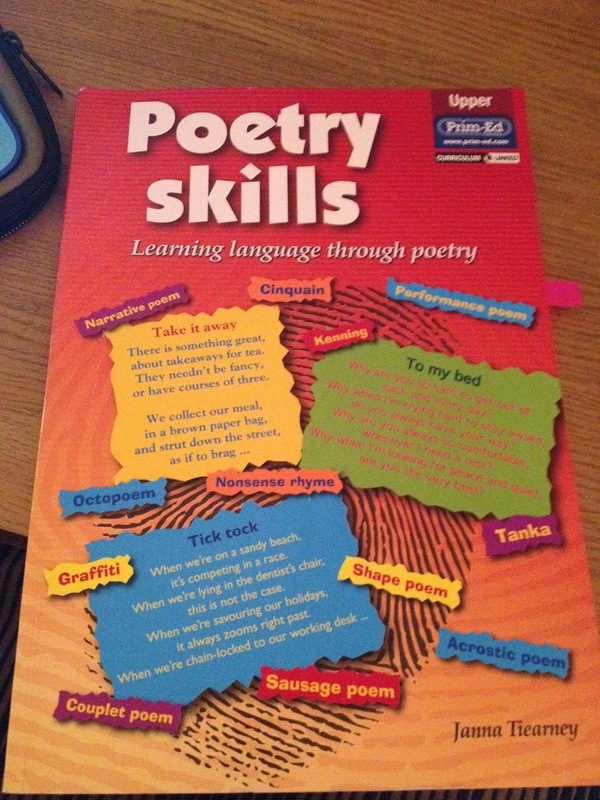 It contains a whopping 60 poems, with teaching points, objectives and follow on activities. The poems are listed and separated by strand unit, i.e. receptiveness to language, competence and confidence in using language, developing cognitive abilities through language and emotional and imaginative development through language. This makes writing plans much easier! 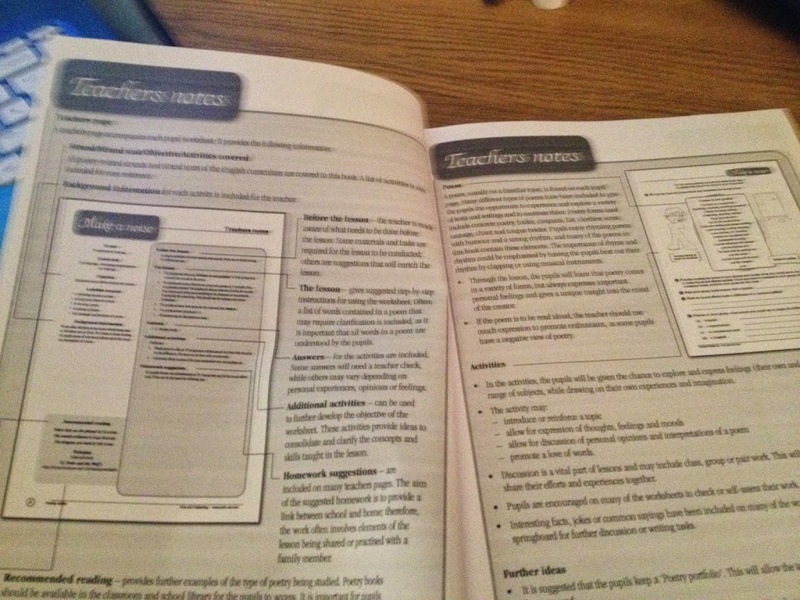 There are two teacher note pages, which guides you through each lesson. The teacher notes provide you with the strand, strand unit, teaching suggestions for before the lesson, the actual lesson itself, additional activities, homework suggestions, recommended reading, and website suggestions. That is a huge amount of information and guidance. Anyone doing the DIP will appreciate just how much time that would save in the weekly plans! The poems in this book are poems which children of this age ( 5th and 6th class) would really enjoy. There are a variety of poems provided, acrostic, cinquain, narrative, shape poems, octopoems etc! My copy looks a bit battered because it’s always in my bag, but it’s one I definitely get the worth out of!